When we read the words of this commandment, the first thing that comes to mind is probably a Sunday School lesson you heard as a child, or perhaps something quoted to by an exasperated parent or another adult at a time when you weren’t quite being as obedient as you should. And without question, this is an important lesson for children to learn when they’re young. As anyone who has been around toddlers can tell you, no special lessons are required to teach us how to be headstrong, demand our own way, and pitch a fit if we don’t get it. But we do have to learn to be obedient and to put others ahead of ourselves. 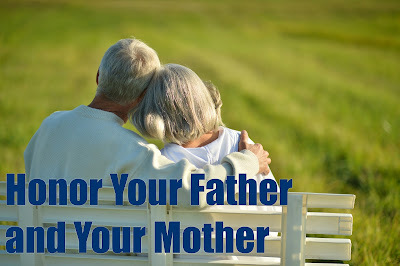 The Apostle Paul quotes the “Honor your parents” commandment in Ephesians 6, and points out that this is the first commandment to include a promise: that it may go well with you and you’d have a long life. If you’ve ever heard a frustrated parent say, “I brought you into this world, I can take you out!” Well… that’s not what this verse means! :) What it does mean is that this commandment is so important (and perhaps, so likely to be neglected) that God saw fit to attach a promise to it. Honoring parents is important, and not just for children. When Jesus affirmed this commandment in Matthew 15:4, he was speaking to adults. He was talking about adults who were looking for ways to get around obeying God's commandment… and do so in a way that would make them appear more spiritual to others! Even Jesus submitted to both his earthly parents (Lk 2:51) and His heavenly Father (Mat 26:39), demonstrating with His life that this command isn’t something to be taken lightly. And this is a tough truth to face: the command to honor is not conditional. It’s given not based on the parent's merit, but on the simple fact of their position as parent. The child is commanded to honor the parent, whether the parent is honorable or not. But it’s also important to understand that “honor” doesn’t mean unconditional obedience. As an adult child, “honor” doesn’t mean letting a parent control or manipulate you. Honor is a heart issue that is more about you than it is about the one you’re honoring. Some people have found great freedom from past hurts by forgiving a parent, even later in life, and that is a great way to obey this commandment. The Greek word for honor means "to revere, prize, and value." We can recognize our parents’ value without necessarily agreeing with them. You can disagree with their counsel and even choose to go a different direction. But to honor them means you take their counsel into consideration, giving it weighty consideration and not dismissing it and choosing another path out of spite because you don’t want to listen to them. To honor someone also means to consider their interests, their needs and desires. When you honor someone, you put their needs before your own. And that brings up the current, relevant issue of caring for our aging parents. This will only become a bigger issue as our entire population ages. The huge baby boomer generation is getting older and decisions will have to be made as to how to care for them. In generations past there was no question - they lived with one of their children once they were no longer able to live independently. Nowadays there are many options, including assisted living, senior apartments, and various levels of nursing homes. Whatever choice you make, honoring your parents must be the chief motivator. I have seen this lived out in my own family. My maternal grandmother was a fiercely independent. Even when her health deteriorated, she was determined to live in her own home, which she did up until just a few months before her death one year ago this past week at age 94. 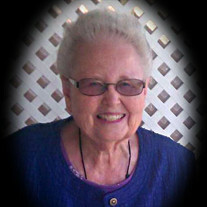 However, due to her declining health, she needed a lot of help. Her six children were spread out in 4 states and 2 countries, and we live about 12 hours away. I can't count the number of times my mother made that long drive to western Oklahoma to spend a week or more with her, relieving the one sister that lived in the same town. Mom was constantly on the phone with her, checking in about doctors' visits, prescription updates, asking about her trips to the store, church, etc. It was as if mom erased the distance by the constant communication - and when grandma needed her, mom was there, whether she had to talk someone into going with her to share the driving duties, fly and rent a car or just drive alone. I watched my mother live out the command to honor your parents. She modeled it every day in big and little ways, not letting distance be an excuse to not obey the command with a promise. I also watched another dear lady honor her mother up close and personal. Several years ago when Ursula's mother was diagnosed with the cruel disease known as Alzheimer's, Ursula made the decision to care for her mother in her last days as her mother had cared for her in her first days. She took her into her home and lovingly attended to her through the slow fade from a vibrant woman to a shell of the person she used to be. And throughout the entire process, Ursula treated her mother with respect and dignity. She never complained about the extra work. And she never made excuses for her mom. She included her in daily activities until she could no longer leave the house. And then she put her own life on hold to provide daily care until her mother passed from this life into glory. Ursula's three young daughters witnessed their mother honor her mother in a way they will never forget. These two women, my mother and Ursula, are vivid examples of what it means to honor your parents in different circumstances. And I believe God is going to honor both of them with a long and blessed life! I want to learn from their example, and model obedience to God's words for my own children the way they did for theirs. How about you? Do you know of a story of someone honoring their father and mother in significant ways? Or even in insignificant ways? I’d love to hear from you in the comments! Please share your story so that we all may learn. And celebrate obedience to God’s first command with a promise! Wrong Turn or Divine Detour?